The 3-9 x 50 Rifle Scope with rings has a wide-angle field of vision. 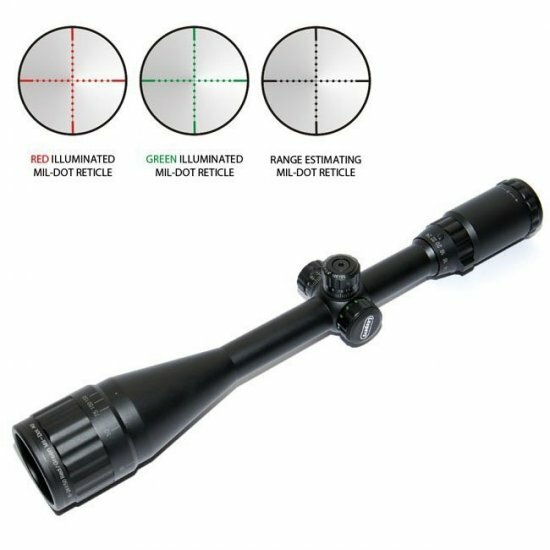 This scope will be a great addition to your hunting gear. Field of View @ 100 yards: 39.3" - 13.1"
Last edited by Raktoner; 07-14-2014 at 12:12 AM. Which rifle scope is best for hunting? Buying a full size 1911 clone, but which one?